Look out, little fish, a great white shark is passing above! Ferocious hunters, great whites have rows of razor-sharp teeth. Make your child's day with a coloring page featuring this mighty shark. Give him a fun and informational coloring page, all about the great white shark! Starring in this ocean coloring page is the glaring great white shark and he's on the search for prey! Use caution when coloring in his razor sharp teeth. Let your child color one mean shark, the great white. Meet one of nature's best fishermen, the America White Pelican! 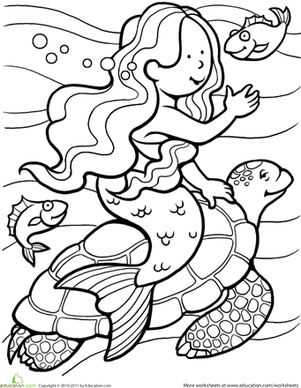 Share a beautiful coloring page with your child. This coloring page features the building that's housed America's presidents for over 200 years. This coloring page tells the story of the wolf-dog White Fang. Color in this cool scene at the White House, and learn a few White House facts too! Here's a great coloring page to celebrate April Fools' Day!